The Brotherhood Ring with smooth sides in 14K White Gold. 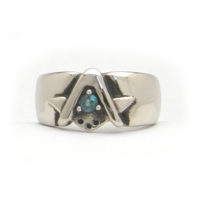 It is available with a "G", All Seeing Eye, or with the stone of your choice. 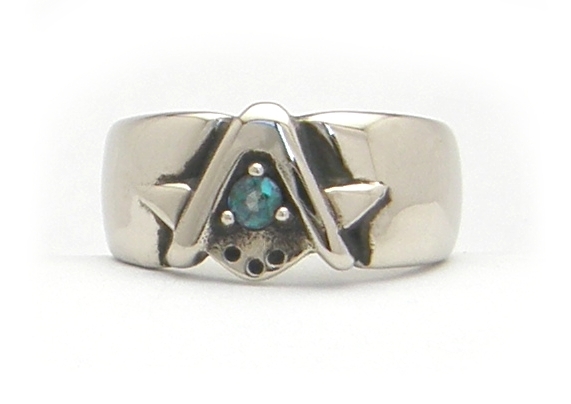 The ring is shown here with an Alexandrite. Also available as a Past Masters version, select available options. Dear Brother Drew: I want to take a moment to recomend your "G" ring to anyone considering it. I should say their "G" ring because each one is unique. 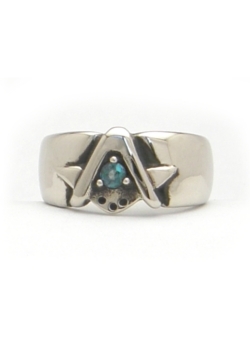 This ring has a mystic look to it that allways strikes up a conversation. It feels like a "mans" ring. It really reminds me of "The One Ring" and that is the type of "Magic" that I wanted to wear and look at. Thank you so much for this wonderfull piece of art.